At Collins & Montz Dentistry, we provide comprehensive dental care to children, teenagers, adults, grandparents, and everyone who falls somewhere in-between. Our team’s goal is to save you from the potential discomfort of oral health problems down the road; that’s why we emphasize the power of preventive dentistry whenever possible. If you’re ready to get started with a practice that supports your oral healthcare journey wholeheartedly, contact our Melbourne, FL location today to schedule a first appointment with Dr. Collins or Dr. Montz. Even patients who brush and floss diligently every single day may end up experiencing dental problems that go unnoticed – that’s why attending regular checkups and cleanings is so essential to your overall oral health! During these visits, Dr. Collins and Dr. Montz will carefully review every aspect of your smile, from the surfaces of each tooth to the gum tissue to the jaw. They’ll listen to your concerns and recommend potential treatment options that can effectively take care of damage, decay, or cosmetic issues. By looking for trouble every six months on average, our team can keep the small problems of today from becoming the dental emergencies of tomorrow. Additionally, a professional hygiene appointment can make a world of difference in keeping your smile fresh and confident. 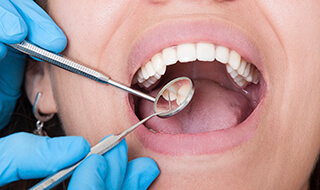 Our talented hygienist will clear away dangerous plaque and tartar from the teeth and gums, and a thorough polishing will get rid of any minor staining to boot. 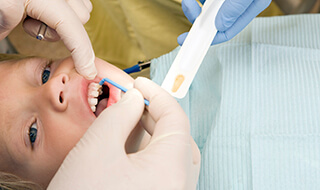 Dental sealants are a quick and easy protective service that can protect little and big smiles alike from the constant threat of cavities. These clear, thin coatings are designed to cover the chewing surfaces of back teeth that are notoriously difficult to reach with regular brushing and flossing, especially for children. Once in place, the sealant helps keep food particles and dangerous bacteria from taking root and causing long-term decay. Learning the importance of oral health from a young age is critical, and our staff would love to help your son or daughter gets started on this path as soon as possible! 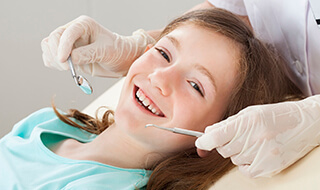 We always do our best to create a comfortable and friendly environment where children feel welcomed, and our recommended services will grow alongside them, including gentle checkups, dental sealants, fluoride treatments, tooth-colored fillings, and more. 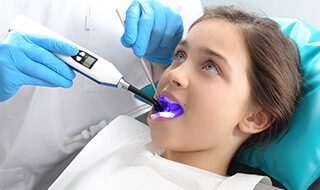 Dr. Collins and Dr. Montz regularly treat patients as young as three years old, but if you notice a concerning dental problem before that age, be sure to let us know. If you regularly experience headaches or jaw pain, bruxism (more commonly known as teeth grinding) is a likely culprit. This “bad habit” is widespread among adults with a lot of daily stress in their lives, and many people don’t even realize it’s happening in the first place because they’re only experiencing the condition while they sleep. At Collins & Montz Dentistry, our team will be vigilant for signs of bruxism during your regular appointments. 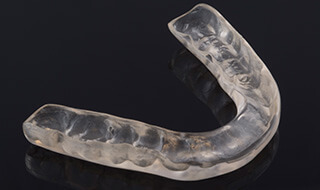 If needed, a customized nightguard can provide your smile with the support and cushioning it needs to keep aggravating grinding and clenching to a minimum. We also offer TMJ therapy for more serious cases! 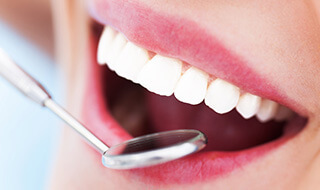 Oral cancer is a serious and even deadly health condition, but it can be successfully treated if it’s diagnosed in the early stages of development. That’s why our doctors perform oral cancer screenings as an important part of every routine checkup here in Melbourne Beach. During this process, we’ll scan the oral cavity for lumps, crusts, suspicious sores, white and red spots of skin, and other signs that are regularly associated with the presence of cancerous or pre-cancerous cells. If we locate something concerning, a biopsy can be arranged to test the tissue and provide a more concrete diagnosis. Fluoride is a mineral that’s actually been shown through studies to strengthen your tooth enamel and ward off the threat of cavities. That’s why it’s regularly added to community water supplies! However, if you and your family stick to bottled water, you’re likely missing out of the valuable benefits fluoride can provide. During your child’s checkups, our doctors may recommend professional fluoride supplements so that growing teeth have all the help they need to stay strong and healthy.